So as promised we have started our weekly workout review! 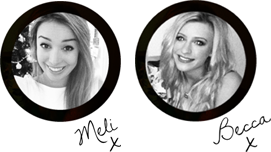 If you want to know more about this then you can read our introductory post here. 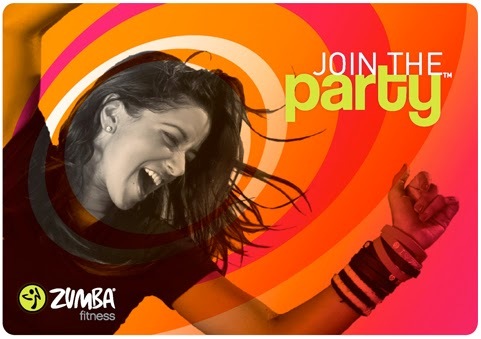 This week we attended Zumba classes, so read on to find out more about this class, exactly what we thought of it and what we'd would recommend it for! If you were wondering how I dance on a night out, just head down to a Zumba class and you'll find out. 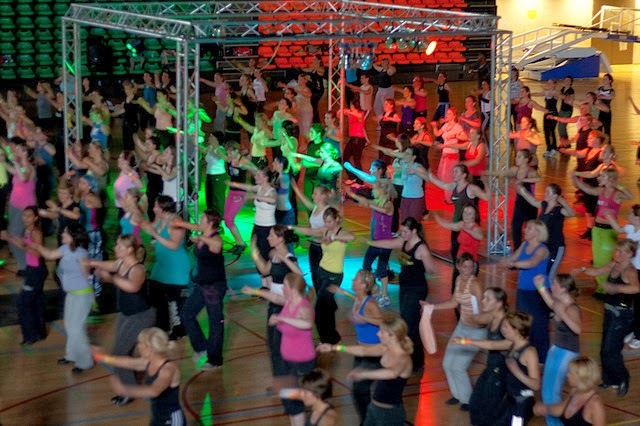 This is just the perfect exercise class for me, it's fun, energetic, you really feel like you have worked out by the end, but... you're also loving every second because really all you're doing is getting your groove on to the current top 40. It’s so much fun, it’s practically like a night out but with everyone doing the same thing. There’s loud music and a lot of jumping around, the songs were all current and great to dance to, and the dances were just about repetitive enough for you to copy without being too repetitive that you got bored. First timers be warned: if you don’t just jump up, join in and try to copy you will be left behind. The instructor was dancing the routines at the front of the class for us to join in with while shouting out encouragement. It’s important to be able to see her because otherwise you will get totally lost and not know what you’re doing, so even if you’re hiding near the back make sure you’re in a space where you can see what she’s doing! Overall, I really enjoyed it - definitely more effective than one of my pathetic attempts at the gym. You do feel like you’ve done a proper work out by the end, and what I really liked about this class was the lack of pressure, it was just a really fun atmosphere! I'll be honest the adverts you see with flashing lights, loud music and grinning women is what attracted me to taking this class. And it isn't far from the truth. Not knowing what to expect I was pretty excited and pumped to get started. I'd heard from friends it would get my heart going without sweating excessively so I had no reason to fear it. So my class started with jogging on the spot and a few simple steps to warm up. And from there the steps increase in effort/difficulty gradually so you don't feel like you're thrown into anything too complex. Like Becca said, the songs are always current and likeable so it's easy to get distracted and end up singing along! You pretty much do a routine to each song, starting with a few steps and adding to them then repeating them. Don't worry if you don't get it straight away you usually repeat the same thing many times until it's over. In my class the moves were occasionally really funny... Especially when you're staring at yourself in a wall full of mirrors shaking your arms unnaturally above your head. All good fun though and you work your way down your whole body. This class is really fun and I'd say if you're going to go bring lots of friends. I'd want someone there so we can have fun in exaggerating the moves and making the most of it. I felt it was a really good aerobic exercise as you don't ever stop moving from beginning to end (except a couple of breaks to grab water). The only downside for me was that unless I have a lot of pressure on and a loud instructor shouting commands, I find it hard to take it seriously and don't really go for it. But hey exercise doesn't always need to be serious so go out and try for yourself!! 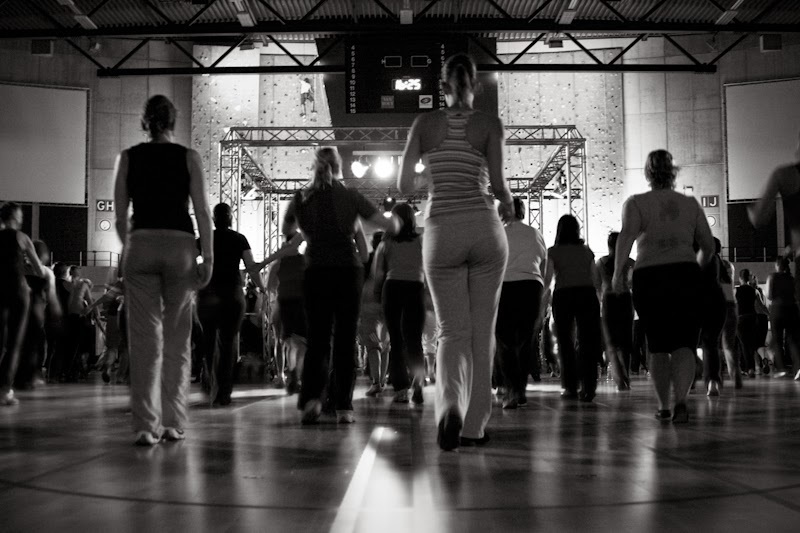 Have you been to a Zumba class? Let us know what you thought in the comments below!